2002 - The United States signed a deal in Islamabad for the consolidation and restructuring of $3 billion (Dh11 billion) in debt owed by Pakistan, a key ally in its war against terror. The debt agreement came two days after Pakistani president General Pervez Musharraf made constitutional changes that critics said threatened the South Asian nation’s return to democratic rule. US President George W. Bush praised Musharraf as a stalwart ally in the war on terrorism. The debt covered in the deal is the US portion of $12.5 billion of bilateral debt the Paris Club group of donors agreed to reschedule after Pakistan abandoned its support for the former Taliban regime in Afghanistan. 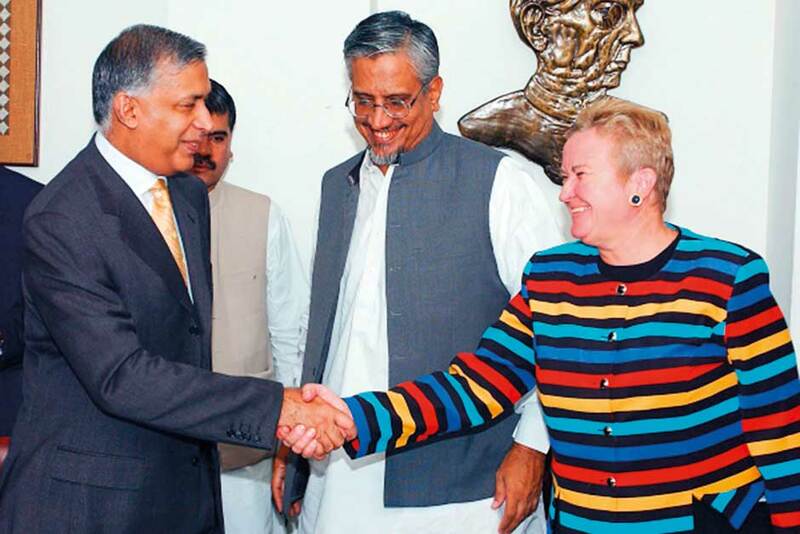 The agreement was signed by US Ambassador to Pakistan Nancy Powell and Pakistani Finance Minister Shaukat Aziz. 1609 - Italian astronomer Galileo demonstrates his telescope for the first time. 1833 - Britain abolishes slavery in its colonies around the world. 1838 - The first American women’s college, Mount Holyoke college, holds its first graduation. 1839 - Hong Kong is taken by British in war with China. 1908 - Abdul Aziz of Morocco is defeated at Marrakesh by Mulai Hafid, the new sultan. 1913 - The statue of The Little Mermaid is unveiled in Copenhagen, Denmark. 1942 - Francisco Segura of Ecuador becomes the first South American player to win a major US grass-court tennis tournament. 1982 - Lebanese Parliament elects Bashir Gemayel as President. 1985 - Said Aouita of Morocco breaks the world l,500 metres record at the West Berlin Grand Prix athletics meeting. 1987 - Iraqi warplanes bomb key Iranian petrochemical complex of Bandar Khomeini. 1991 - The World Wide Web is opened up to new users. 2000 - Gulf Air Airbus A320 crashes with 143 people aboard in Bahrain International Airport. 2001 - Nato troops pour into Macedonia, preparing to collect weapons from ethnic Albanian militants. 2003 - An estimated 30,000 people found themselves exiled from their homes in Kelowna, British Columbia, by a wildfire so hot that at times it caused houses to explode. 2007 - Sudan expels European and Canadian diplomats for interfering in Sudanese affairs. 2009 - England claims the Ashes with a 197-run victory at The Oval against Australia. 2010 - 12-hour hostage stand-off on a bus in the Philippines ends in bloodshed with the death of at least eight tourists. 2011 - Libyan opposition fighters capture Muammar Gaddafi’s Bab Al Aziziya compound and headquarters in Tripoli. 2013 - Twin explosions outside two mosques are killed at least 43 people in coordinated attacks in the northern Lebanese city of Tripoli. 2015 - Lewis Hamilton wins Belgian F1 Grand Prix.